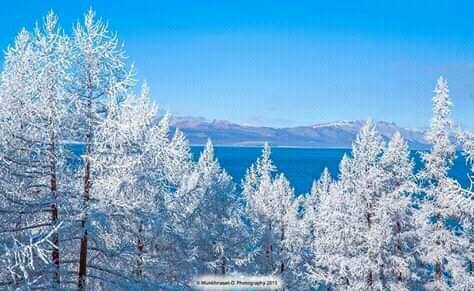 Tour introduction: Mongolian winter from December until February is very harsh, cold, snowy, icy and it reaches minus 40 degrees celsius maximum in December and January. But it forms nice environment for winter tourism especially for those who haven't never seen so much snow and icy rivers. You are able to experience all of winter activities during this tour such as skiing, skating, dog sledding but also go camel riding, visit nomad family, and visit Chinggis Statue complex at last. All of cold winter tour moment of you will be warm with Mongolian cashmere and woolen clothes. Day 1. We will pick you up from the airport and take you at hotel with 3 stars. After having meal, you will go shopping to buy warm clothes. You can buy cashmere, woolen, felt products or anything necessary for your winter tour. Then you will relax at hotel. Day 2. Today we will go to nomad family on the way to semi desert Elsentasarkhai. There you will meet with nomad family members and spend whole day getting introduced with nomadic culture and way of their lives. Also you will taste Mongolian cuisine named Khorkhog. Day 3. There is sand dunes named Elsen Tasarkhai where you will ride Mongolian 2 humped camels for 2 hours making small trip through sand dunes. You will settled in tourist camp. Day 4. This day we will head back to UB city and go to Hunnu Mall for ice skating. Hunnu mall is a big amusement center of Mongolia and have lunch there. Before the rush hour, you will be settled in hotel. Day 5. In the morning, after having breakfast, we will go to Skiing resort 12 km away from UB city. There we will go skiing for 3 hours and sledding for 2 hours. We will have lunch there and after finishing we will relax in tourist camp. Day 6. This day we will go to Terelj National Park which is 60km away from UB city and then settled down in tourist camp. After settling, we will meet with dog sledding guides and start sledding. it will continue for 2 hours. Then we will have lunch at tourist camp then continue dog sledding more 2 hours.